Thanks to science, we get more for less. We get more features on a newer car model, more data and information stored on a computer, and all for the same or lowered cost. That same principle applies to accelerator R&D, where improving the performance and lowering the cost can help open doors to new ideas. 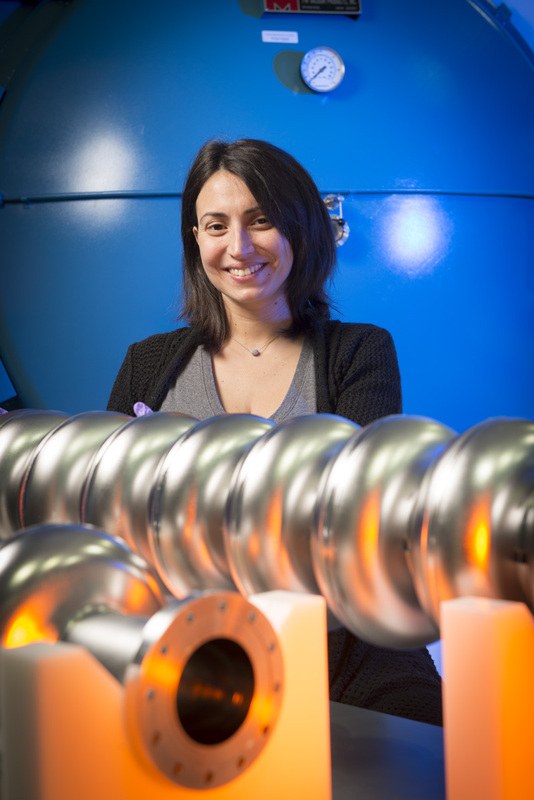 The Department of Energy recently named Fermilab physicist and 2013 Peoples Fellow Anna Grassellino as a recipient of the prestigious Early Career Research Award for her work to develop particle accelerator cavities that have improved performance and are less expensive to operate. The $2.5 million award, spread out over five years, will fund Grassellino's research to expand her recent discovery of the cavity surface doping effect to a wide range of applications. The research will lead to enabling technologies for future superconducting accelerators used for a broad spectrum of scientific machines, medical uses, and nuclear energy applications. 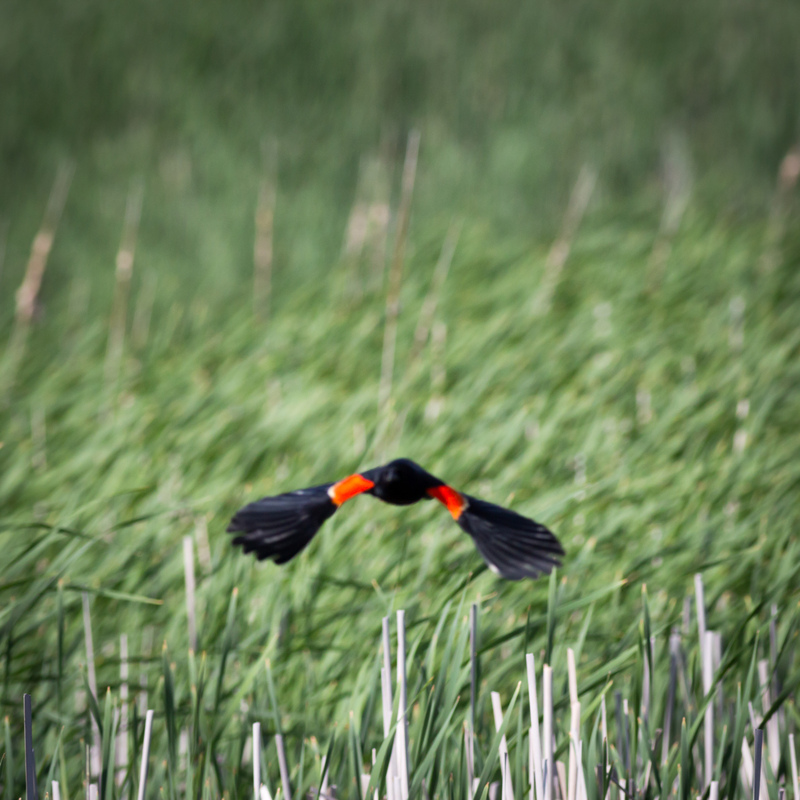 "This grant is extremely important, as it will allow me to expand our current findings and do further exploratory research that isn't always possible, as often we focus on development work that is project-targeted," Grassellino said. "But the big technological breakthroughs, which then enable new machines, are made by trying something completely new and by pursuing the fundamental understanding of the mechanisms in play. 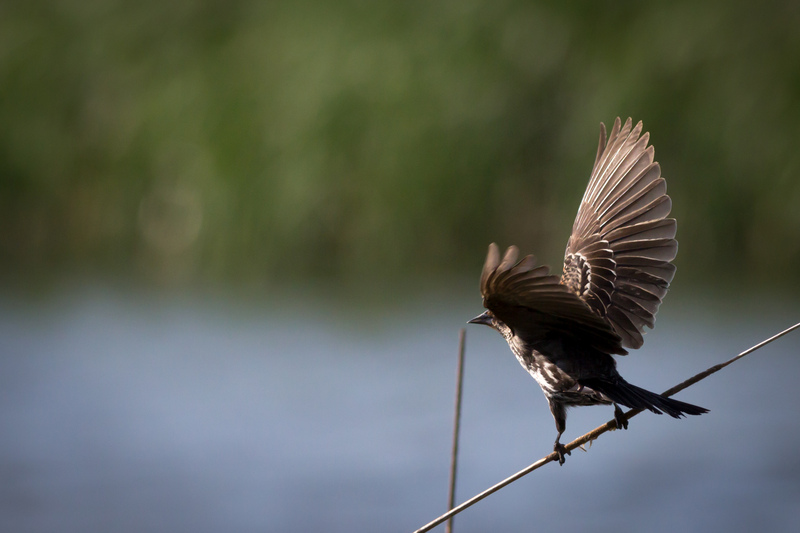 This is the exciting part of this grant — there may be more breakthroughs coming." SRF cavities enable acceleration of beams of particles. These innermost components of an accelerator are strung together, like a strand of pearls, inside a vessel called a cryomodule, which keeps them at very cold temperatures. To get the best performance, scientists treat a very thin layer of the cavity surface, measuring several tenths of nanometers. Traditionally, researchers believed that these cavities should be made from very pure niobium, but Grassellino discovered that the addition of a little bit of impurity, such as nitrogen gas, into the niobium surface can help to greatly increase the cavity efficiency. By doping the niobium surface of a 1.3-gigahertz, single-cell cavity with an impurity such as nitrogen gas, Grassellino and the Fermilab SRF team increased the cavity's quality factor, or Q, the measure of how well the cavity stores energy, to previously unseen values. During recent tests, she measured a world-record value for Q, which was almost three to four times that of the next-highest reported quality factor of any accelerator cavity. On June 3-4, scientists from universities and laboratories across the United States will meet at Fermilab to discuss a number of upgrades to Fermilab's proton complex, known as Proton Improvement Plan-II, or PIP-II. PIP-II is a plan for developing Fermilab's accelerator complex to deliver high-power beams for the lab's neutrino experiments while providing a flexible platform for the future research program. 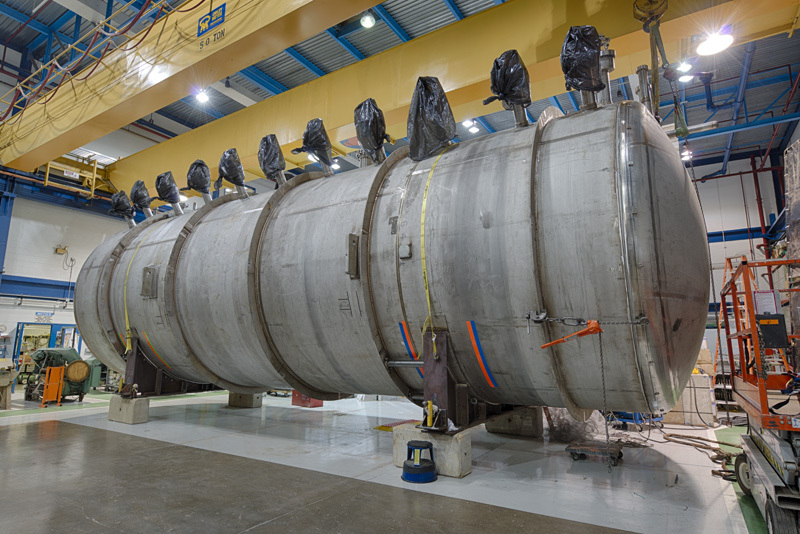 Over many months, scientists have developed a plan for the accelerator upgrade, one that is well-aligned with the laboratory's scientific program. The recently released P5 report recommended that R&D for PIP-II proceed immediately, followed by construction. The goal is to provide a megawatt proton beam by the time of first operation of the future long-baseline neutrino facility, around the middle of the next decade. To that end, researchers will capitalize on the lab's existing infrastructure while replacing its older components. 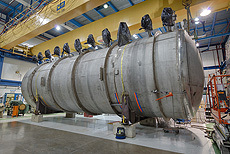 One such piece is the existing 400-MeV linac, which under PIP-II will be replaced by a new 800-MeV superconducting linac. Learn more about the PIP-II meeting at the meeting website. 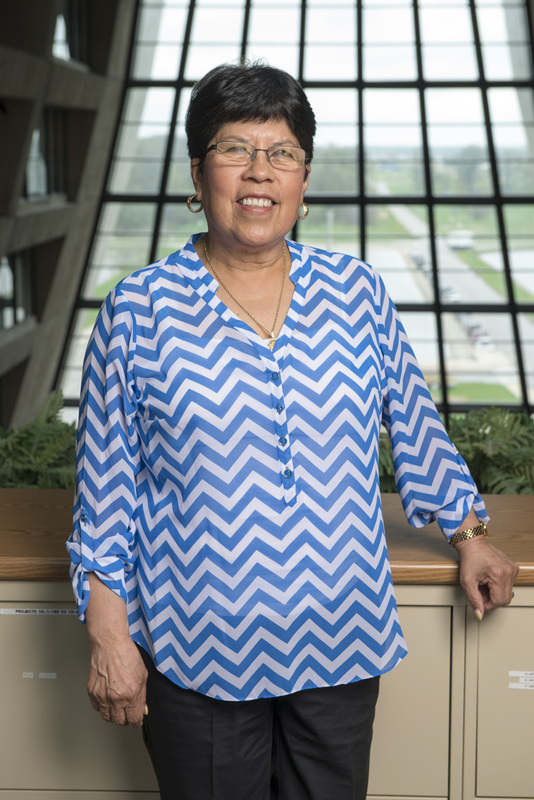 For 40 years, Lupe Ponce has been keeping Fermilab spotless. Known for her cheery disposition and her willingness to do more than is asked of her, she brightens the countenance of everyone she encounters. Now Ponce will retire. Her last day is Friday, June 6. "She's a fantastic employee, always going above and beyond," said Clorica's Danny Urrea. "She always has a smile on her face." Ponce has worked tirelessly to make sure Fermilab staff can greet tidy office spaces, clean restrooms and vacuumed floors when they come to work. Now she will relax and spend time with her great-grandchild and four grandchildren. She also plans to go away for vacations as often as she can. "I have been very happy working at Fermilab for the past 40 years, and it's going to be hard to leave," Ponce said. "Everyone has been so good to me." All are invited to celebrate Ponce's retirement with coffee and cake on Wednesday, June 4, from 11:30 a.m.-1 p.m. on the 2nd-floor crossover. "She's one of those employees who doesn't need to be told to go the extra mile," said Clorica Manager Enixe Castro. "We're all going to miss her." How can love mix with a notion taken from quantum mechanics that what happens in the future can influence the past? Glen Ellyn's Village Theatre Guild explores that question in Penny Penniston's quirky and smart comedy, "now then again," which continues weekends through June 14. In the past eight months some things have become clear to me, as I've had the honor and opportunity to see the entire lab as its chief operating officer. We are here to do science and to support a worldwide community of users. This could not happen without the amazing dedication of operations people from across the lab. They maintain and operate our site and buildings, our accelerators, detectors and computing. They feed us and keep us safe, secure and healthy. They buy things, handle contracts and property, and manage people functions and finances. They even handle the press and internal communication, and they provide a myriad of administrative help. All of this work is the foundation on which great science can be built. It deserves more visibility and praise than it gets, and I would like to sincerely thank everyone involved. Future success depends on many factors — scientific community, funding, international support. It also depends on us embracing the concept of One Lab. This means that everyone works on the same Lab Agenda in a coherent manner, embracing change and running with it. I've campaigned to get everyone using the enterprise calendar, not their own favorite one, and soon we will have a labwide events calendar. These are small symbolic examples of transparency and efficiency we can benefit from if people work together as One Lab using common business processes and tools that help us communicate better. A new human resources system, called FermiWorks, for employees, visitors, users and contractors will soon replace old ways of doing things. We will then need to get behind one way of working for planning, budgeting and financial management, as well as for project management. It will be hard, but it is necessary. One Lab also means transparency and honest self-assessment of whether or not we are working safely and with appropriate attention to work planning, quality, security, protection of information and critical examination of outcomes and results. The DOE Fermi Site Office is intimately involved in our One Lab as both a partner and oversight. The DOE orders and federal and state laws we must abide by are important — embracing this across the lab is important for success as we go forward. I hope we will continue to refine our own measures for success and provide ever more meaningful views into them through our executive dashboard FermiDash, to inform the director, DOE, Fermi Research Alliance and, eventually, the entire lab. I thank the Fermi Site Office for strong support in operating this lab as an open institution focused on science. We take on many tasks on the path to One Lab. To the end of my tenure as COO, I will do what I can to make an impact. Last month, members of the MicroBooNE collaboration sealed their 10-meter-long time projection chamber. The chamber is filled with 89 tons of liquid argon for neutrino detection. Later this year, the collaboration will move the chamber to its future home in the Liquid-Argon Test Facility. The Inter Institutional Centre for High Energy Physics (IICHEP) at Vadapazhanji, near here, has completed research and development activities for the construction of a particle detector in the Neutrino Observatory (INO) coming up in a cavern in the Bodi hills in Theni district. Though pre-project work was progressing well both in Madurai and in Theni, the construction of the main observatory in a cavern would begin only after clearance given by the Union Cabinet, INO Project Director Naba K. Mondal told The Hindu on Friday. "The clearance is expected soon."